Get ready for Feb Fest! Winter can be a bleak time – short days, frozen faces, snow banks and lots of shoveling. My thinking is – when you get snow, and lots of it, the best thing to do is to embrace it and make the most of it! 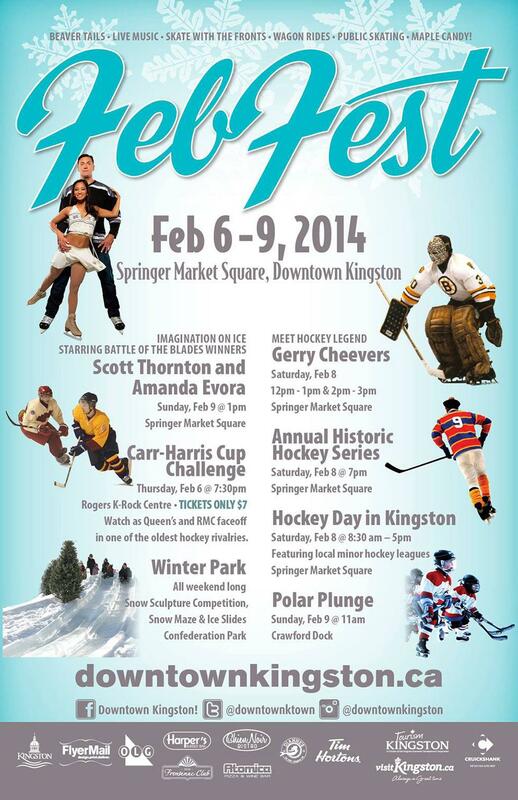 Kingston has the opportunity to do just that with the annual Feb Fest happening this week from Thursday, February 6 to Sunday, February 9. Visit www.febfestkingston.com for more details. 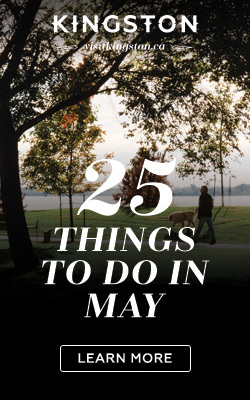 Forget your shivering and frozen fingers – whether you are a hockey enthusiast, a foodie, an outdoors lover, or just passionate about playing in the snow – there is something for everyone in around and on Springer Market Square and Confederation Park. I sat down with Jan Macdonald of Downtown Kingston! to hear all the highlights. 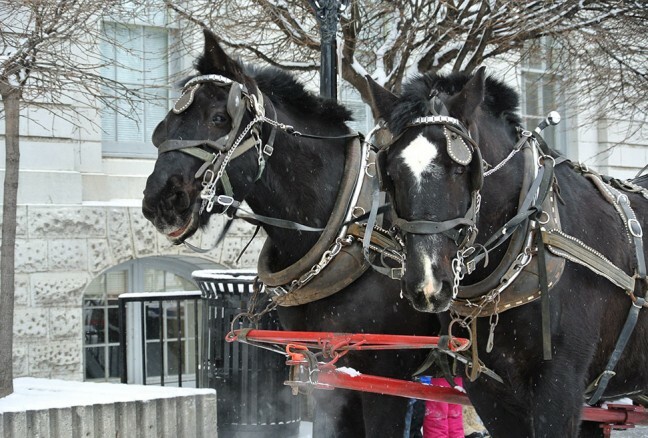 Begin at noon on with the town crier and the mayor at the opening ceremony, and catch a glimpse of the Kingston Knights Sledge Hockey team showcasing their hockey talent on the Springer Market Square rink. The 24-hour Snow Sculpture Competition also begins in Confederation Park, while public skating is in full swing all afternoon and all evening. 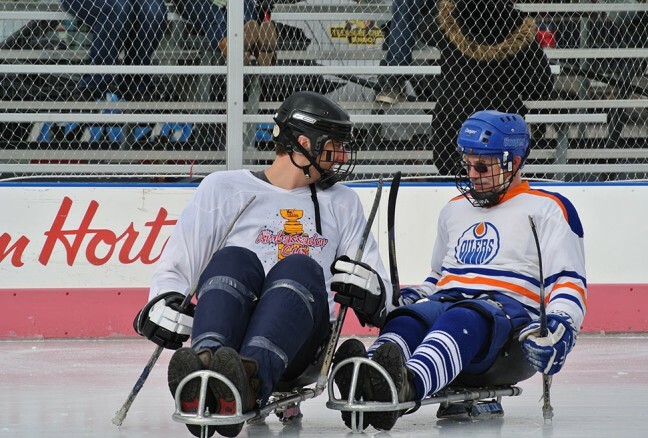 Sledge hockey game. CREDIT: Laura Meggs – Downtown Kingston! If you’d rather opt to watch hockey, you’ll have the opportunity to watch Kingston’s elite women’s hockey stars on the ice (Springer Market Square) or the much enjoyed annual rivalry between Queen’s and RMC’s men’s hockey teams in the Carr-Harris Cup (Rogers K-Rock Centre). Caption: Awaiting victory. CREDIT: Laura Meggs – Downtown Kingston! Have kids or just love to play in snow? 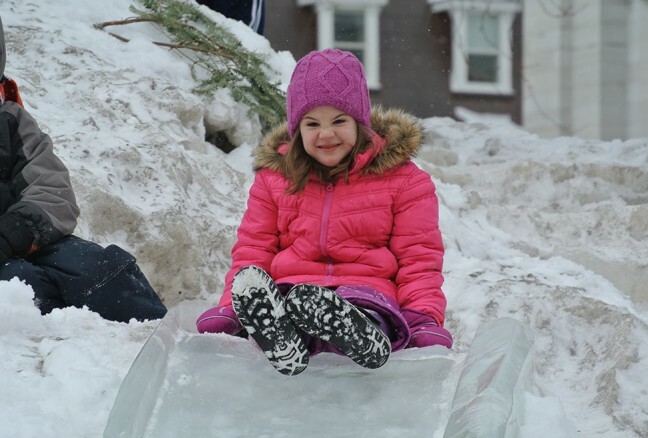 Take advantage of our recent snowfall to wander the snow maze or take a turn down the snow slides, and take a break with maple candy made right there in Confederation Park on Friday. 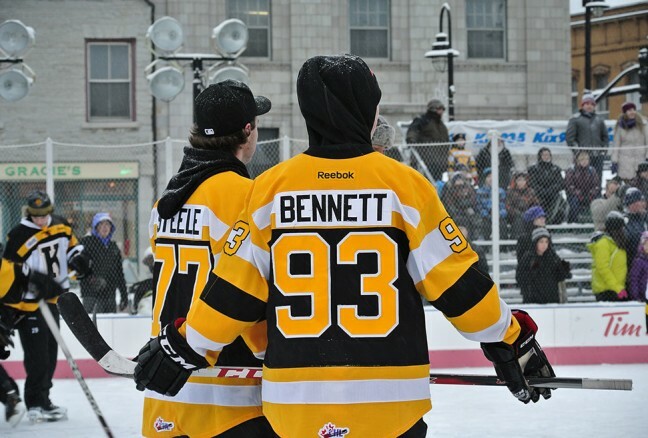 If you didn’t get enough hockey the previous day, the Fronts take on the Peterborough Petes at 7:30 at the K-Rock, while the Market Square stage rocks out with free live music between 5:30-9pm. Never too old to go down the ice slide. CREDIT: Laura Meggs – Downtown Kingston! CREDIT: Laura Meggs – Downtown Kingston! This day will be a highlight for hockey fans of all ages, with the opportunity to get Gerry Cheevers’ autograph and skating with the Frontenacs on the Springer market rink. 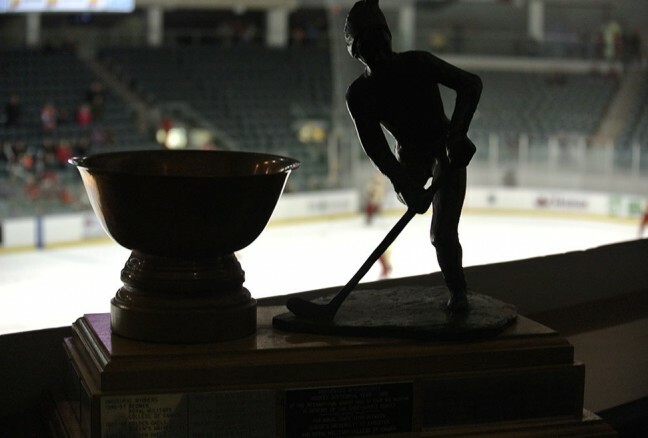 And of course, one of the most anticipated events is the Annual Historic Hockey Series, a celebration of the first game played in Kingston in 1886 – watch as RMC defends their title at 7pm! 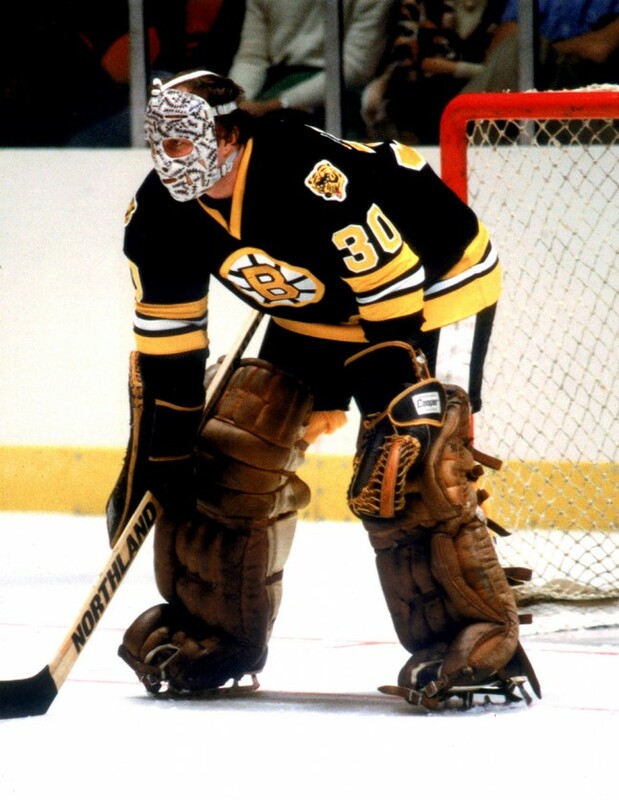 Gerry Cheevers, who played for the Boston Bruins, will be signing autographs. CREDIT: Downtown Kingston! 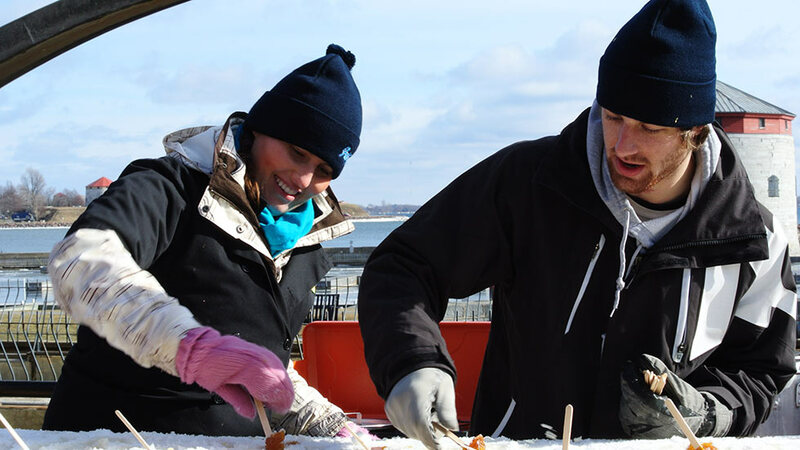 For those brave enough to do it, many are choosing to plunge into the waters off Crawford Wharf; this annual event supports the athletes who are involved with the Special Olympics Ontario. After that, head over to the rink again to watch retired NHLer Scott Thornton and American skater Amanda Evora (winners of this season’s Battle of the Blades) in a fantastic display of strength and artistry. Battle of the Blades’ stars showcase their talent. CREDIT: Downtown Kingston! 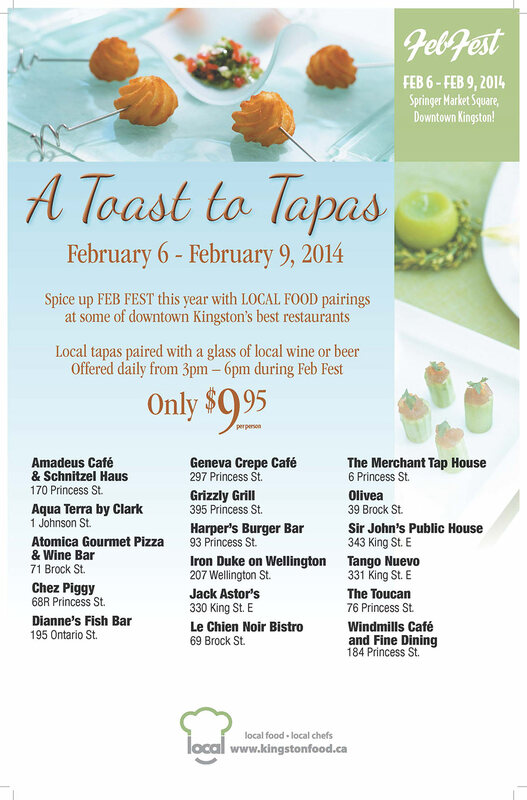 Throughout Feb Fest, “A Toast to Tapas” is also happening at some of downtown Kingston’s finest restaurants, including Sir John’s Public House, Le Chien Noir, Aqua Terra, Amadeus, and more! Each restaurant is offering a specially created tapas pairs with a glass of local wine or beer each day from 3 pm-6pm for $9.95 per person. I was fortunate to get a sneak peek at the menu listings….Though I cannot reveal much, I can say that if you know the restaurants well, they stay true to what they do best, but with a twist! Support our local businesses during Feb Fest and enjoy the best of food and drink from the region. If you happen to be in between events and have nothing to do, grab a Beavertail early to beat the lines and get on a wagon ride! 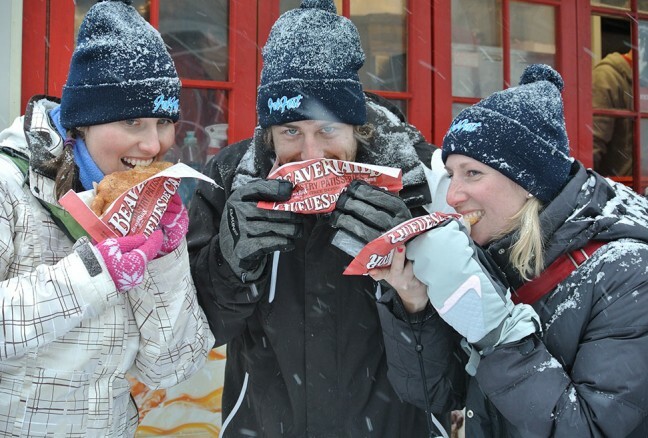 Enjoying beavertails. CREDIT: Laura Meggs – Downtown Kingston! Rolling up maple candy. CREDIT: Laura Meggs – Downtown Kingston! Beat the lines and get on a wagon ride! CREDIT: Laura Meggs – Downtown Kingston! Many activities happen throughout the four days, visit www.febfestkingston.com for more details.